The Justice Society is your opportunity to make a distinct and long-term impact in creating a justice system that is more fair, accessible, and efficient for everyone in our community. As a member of the Justice Society, you help strengthen innovation in three key areas: court system advocacy, legislative and policy advocacy, and community leadership. With your support through Justice Society membership, the CBF will continue to develop groundbreaking programs that drive systemic improvements in access to justice. The Justice Society provides the critical financial foundation that enables the CBF to remain at the forefront in developing solutions to continuing challenges. As a member of the Justice Society, you will receive meaningful opportunities to connect with similarly dedicated peers and learn more about the impact your investment is making in the community. Choose the membership level that’s right for you. The Lincoln Circle of the Justice Society represents the CBF’s premier donor levels. 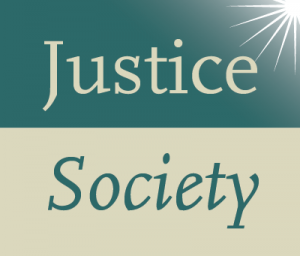 Help make a long-term impact on access to justice by joining the Justice Society today! Current Justice Society members may make their contribution online. For more information, contact Debra Magad at dmagad@chicagobar.org or 312-554-1209.